I read Cinda’s Seven Realm series last year and LOVED it. It’s a brilliant series and I devoured it quickly. I was excited to read more of her writing. 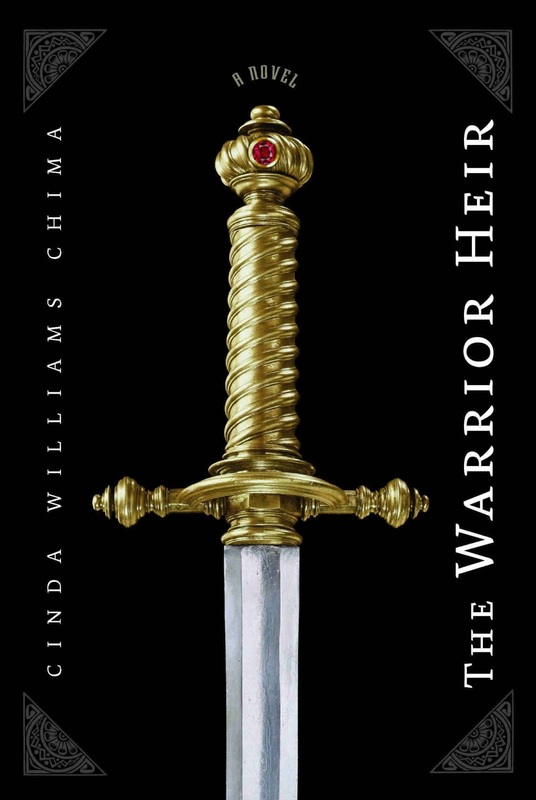 The Warrior Heir was good, much of what I like about her writing was present and the plot was intriguing. However… for some reason I just didn’t connect with the characters the way that I did with the Seven Realms. There is still a lot to enjoy about the book. The main character is a teenage boy. It is so rare to come across a YA novel with a male MC, and it’s refreshing. I always seem to be at a loss when recommending good YA books for a boy, some of them are just too girly for a teen. I like them, but I’m a girl in her mid-twenties. Big difference. I’m excited to lend this one to my 12 year old cousin, he will LOVE it. I’d recommend this to anyone who has read Cinda Williams Chima’s other books, fantasy lovers, or someone looking for a male MC. Thanks for the review. I loved the Seven Realms and I also think Chima is brilliant. I have this book on my kindle waiting patiently to be read. I'm with you on angst level - I have a pretty low tolerance for such things, so a fair warning is always good! I really need to get my hands on the Seven Realm series as I like well written MC, and this novel has also been added to my wishlist now! I don't know what I'd do if I actually got all the books on my wishlist...it's so big I don't think it's possible to read everything! I read The Warrior Heir a few weeks ago, and really enjoyed it (especially the male MC part - so hard to find these days! ), and I think I'm going to read the sequel soon enough. Maybe I'll have to check out the Seven Realms series too! The next book, The Wizard Heir, is by far my favourite in that series. The first one was great, but the second is even more amazing! I'm reading the fourth one right now as well, The Enchanter Heir, and holy moley it's fantastic!